Publicity around distracted driving is prompting many drivers to avoid texting or calling while driving. 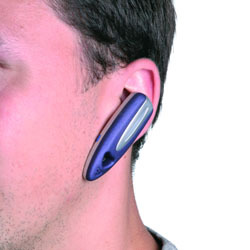 Some are opting to use hands-free devices instead, such as an earpiece, a dashboard system or a speakerphone. However, hands-free devices might not offer as much safety as people assume. As highlighted in a new infographic from the National Safety Council (NSC), hands-free devices are not without risks. The NSC states that 26 per cent of all car crashes involve cell phone use, and this includes hands-free phones. According to the NSC, drivers talking on any kind of device experience a narrower field of view. The distraction of thinking about what you are saying while on the phone can cause you to miss up to 50 per cent of what is around you. We’re simply not as good at multitasking as we think we are. You might suppose that talking on a hands-free phone is the same as talking to a passenger. Not so, according to the NSC. There are three key differences. One, a passenger is able to alert the driver to any hazards. Second, a passenger is able to stop talking when they sense that driving conditions have gotten more challenging. Finally (and related to the first point), a passenger provides an additional set of eyes. Some drivers are opting for voice-to-text technologies to avoid typing texts while driving. This is an example of a cure that might be worse than the ailment. As the NSC notes, new studies indicate that voice-to-text is actually more distracting than typing text messages by hand. The information on hands-free devices from the NSC is a good illustration of how safe practices can be counterintuitive. Technology can contribute to safety, but it can also distract. As new technologies continue to find their way into our daily activities, additional studies will be needed to assess exactly what impact they have on our safety.